Beaches, sea, sun, sand, cocktails, suntan, palm trees, smell of sun creme, watermelons and ice cream are the things we insanely missed.Fortunately, summer is around the corner. Buuuut are you ready for summer? 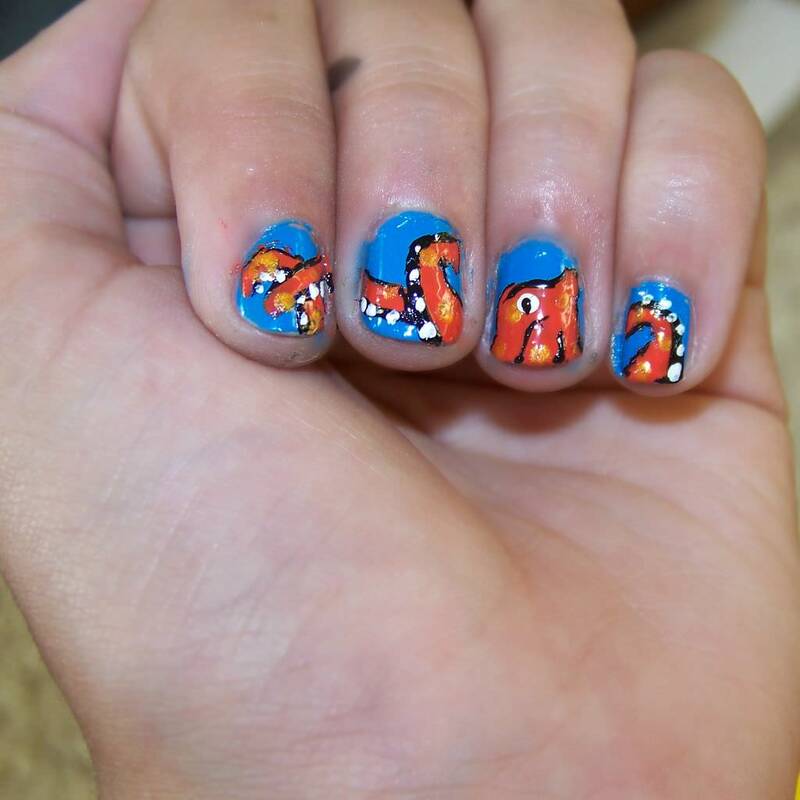 Are your nails as well? You can pick a design below. Most of them require professional help, whereas some of them are in DIY category, as easy as pie. Check them out! Both the sky and the weather is extremely beautiful in the summer, you know. Sun shines smilingly in the blue sky. 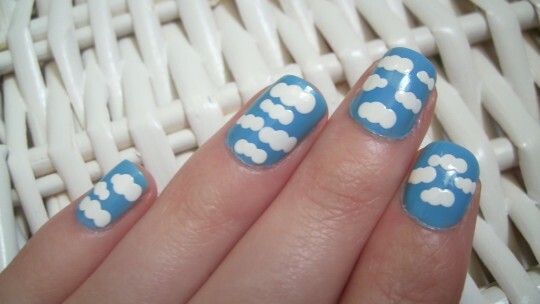 This design mimics the fluffy white clouds and sun rays around the lemon coloured sun. 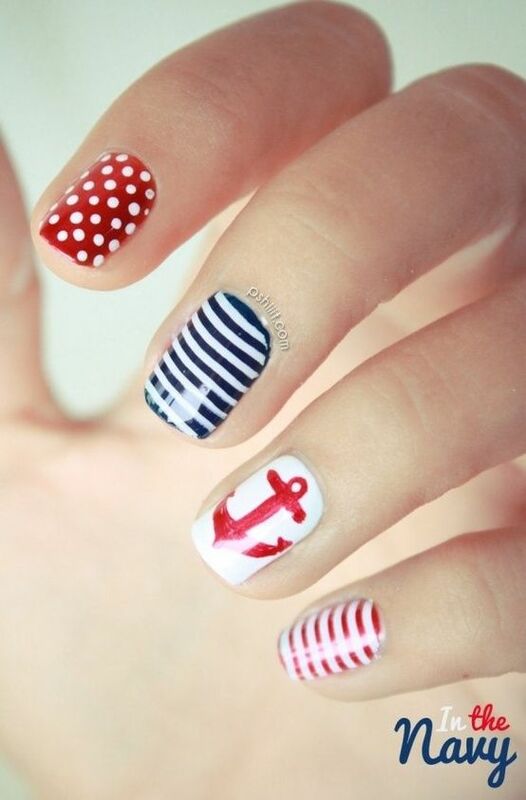 This design offers you such a good combination with any casual outfit. It’s also very beautiful design for shiny road trips. I am literally in love with turquoise. 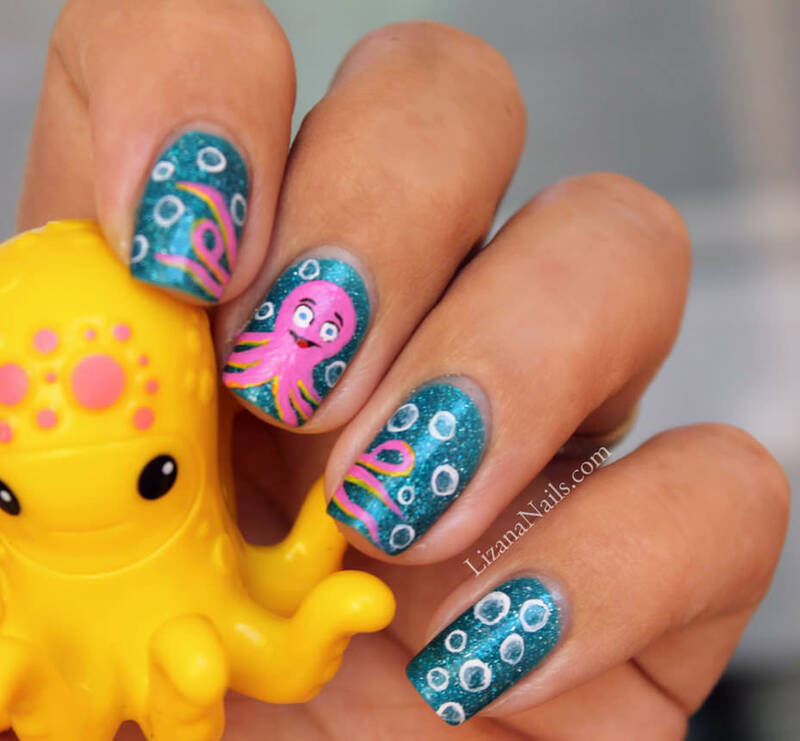 “Silhouette of a cute sea critter on your turquoise nails” seems a good idea for summer. 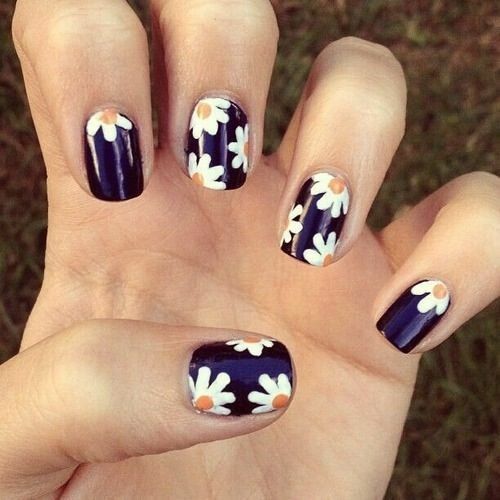 This design is a strangely chic alternative for formal wearing, especially if you are wearing some blue tones. 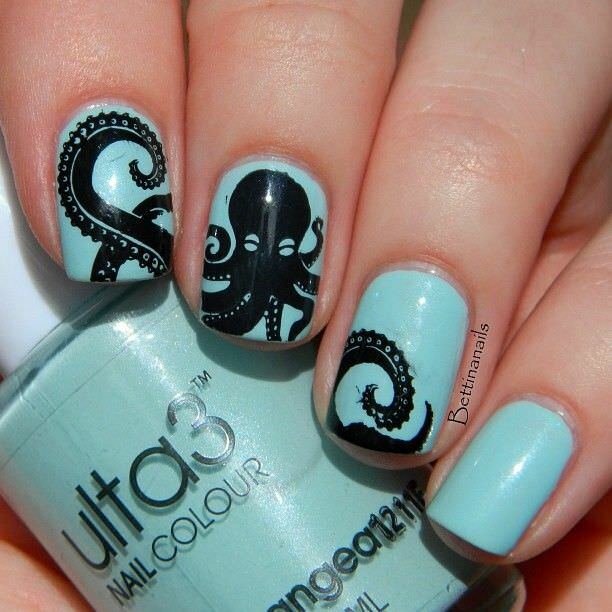 Octopus tentacles are seemingly difficult to draw, need lots of details, which resemble paisley motives. 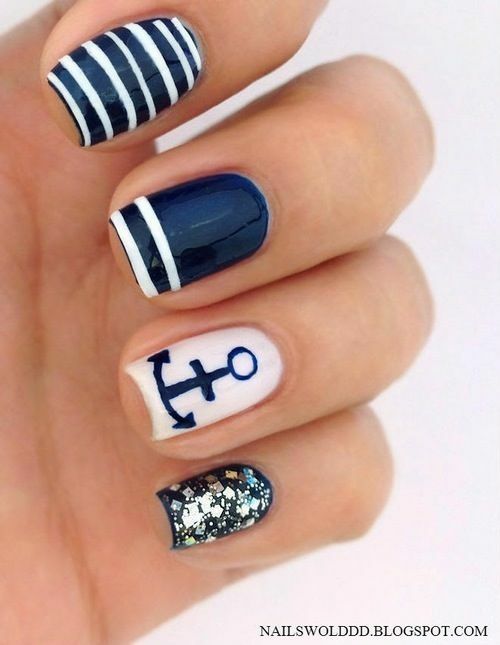 Anchor print and white- dark blue stripes are the essentials of summer. 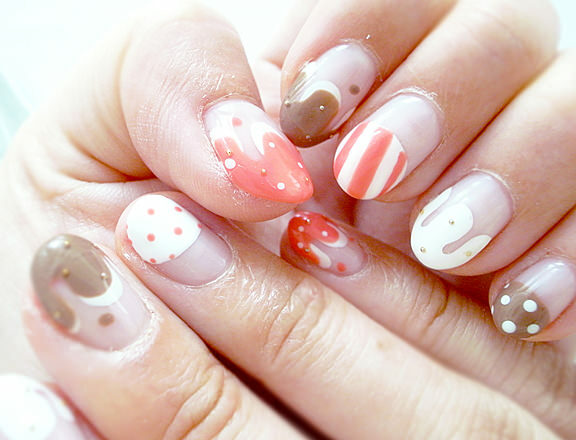 Bold glitters on pinky is a good choice to add the design some glimmer. This design should be put on the list, if there is an evening event on a yacht, or on the beach. You could also consider this design, if you are gonna spend some time in a fish restaurant. Yeah, ice cream! If you are a true lover, you don’t wait for summer to enjoy some ice cream. Anyway, ice cream is a summer dessert, which should be consumed in hot weather to stay healthy. lol. 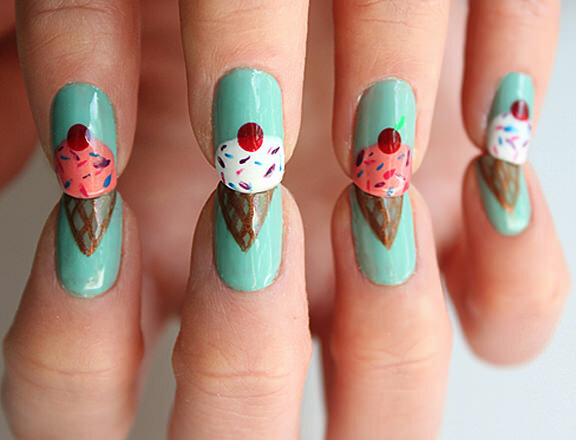 I can say no to melting ice cream with sprinkles neither in reality nor on the nails. These look just cute and delicious. Baby pink ice cream, mm strawberry flavored, with white coating(vanilla!). 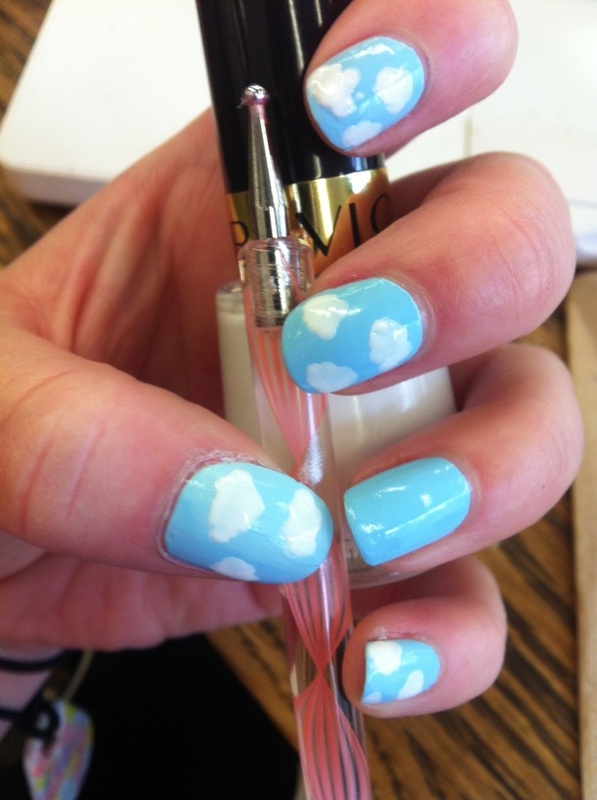 This nail art is just made up for hot summer days! This design reminds me of cozy picnics on the checkered table cloth. Except ring and index fingers, all nails are just painted in light yellow. 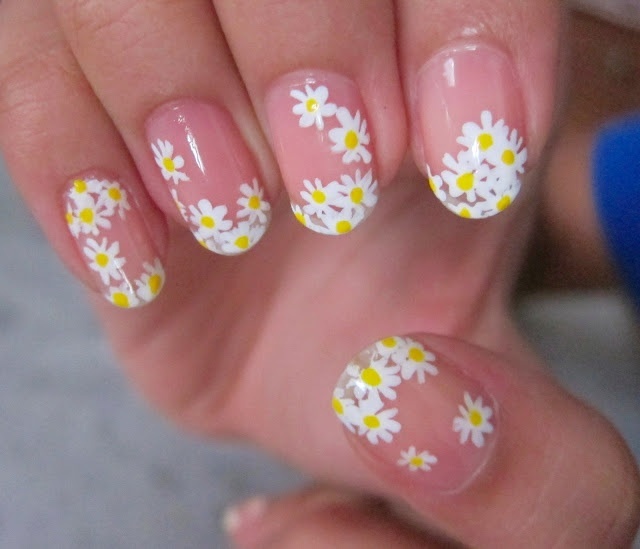 There is a big white daisy on the whole nail of the ring finger, while the index fingers’ nails are just checked white. These patterns are also perfectly fine for occupational life e.g. in office, where you feel like being formal.